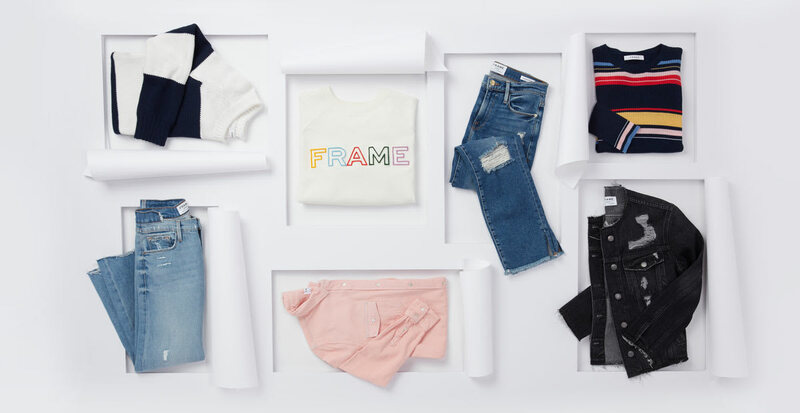 French-inspired and American-crafted since 2012, Frame has quickly established itself as a staple in the wardrobes of celebrities and everyday women alike. Their unique take on contemporary ready-to-wear makes it clear that they’ve mastered the art of producing elevated classics. And the label’s simple but distinct design aesthetic is why Frame has become more than a label—it’s a lifestyle. Read on to learn more about why we love Frame. 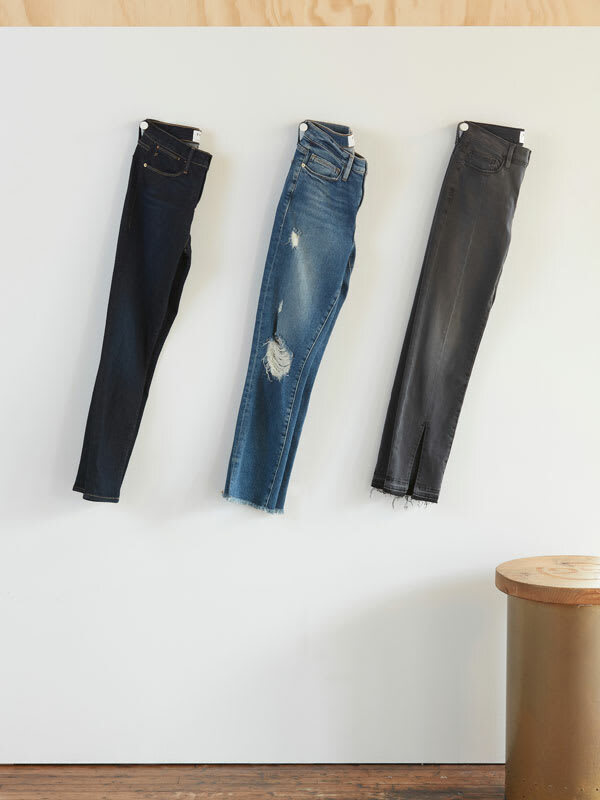 Frame’s denim styles are as varied as their muses. There are Jane Birkin–inspired flares and high-rises that embody ‘70s groove; distressed and frayed-hem pairs that feel like a perfect fit for ‘90s Kate Moss; and of course, extra-long skinnys Karlie designed with her 6’2” frame in mind. Variety is the name of the game when it comes to their tops, as well. 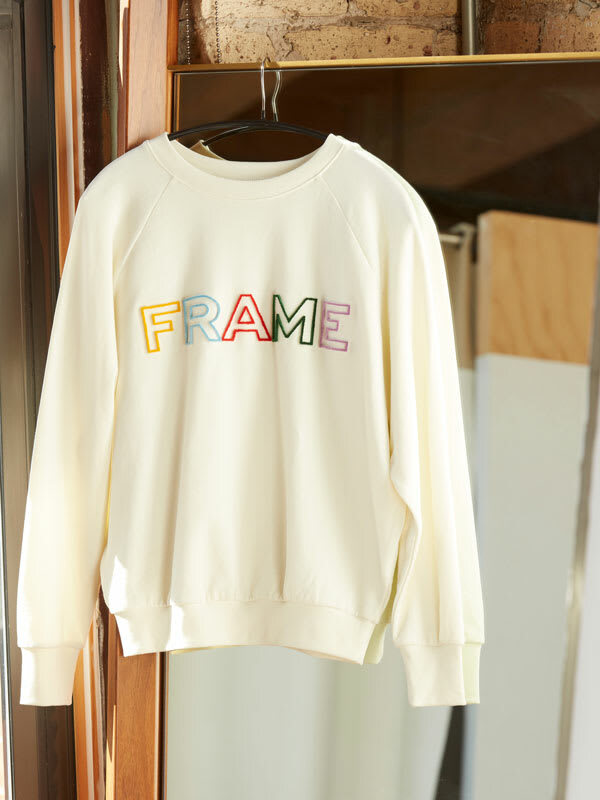 You’ll find everything from sweatshirts emblazoned with a colorful Frame logo to slinky silk camisoles to sweet poplin blouses. No matter the style, these beautifully crafted tops are designed for versatility, making them ideal for wearing over and over again. Looking for a silky bomber jacket or a boldly colored leather tote? Frame makes those, too. And if you flip through the May 2018 issue of Vogue, you’ll even see Amal Clooney rocking a pair of their leather pants. With home bases in both London and L.A., Frame seems to have mastered fashion-forward must-haves for every climate. Their seasonal ready-to-wear collections reinvent that “dressed-up casual” style all throughout the year.